Looking over new data for central Indiana. 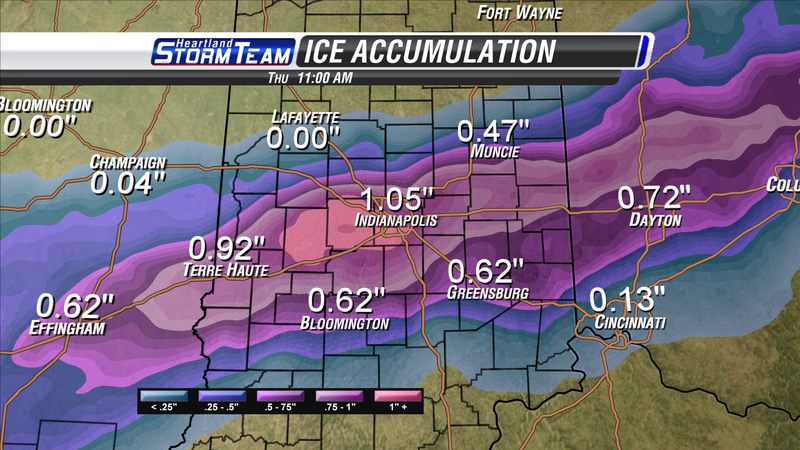 The new 18z run of our RPM forecast model is continuing it's heavy icing roughly along I-70. 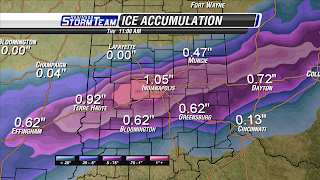 The above map shows ice accumulation through the duration of the storm. Keep in mind that the track of the surface low pressure will be extremely important for how much ice accumulates and where it accumulates. If the low deviates from the current forecast by even 20-30 miles this numbers above will shift with the low. For data in the KFVS viewing area watch the video update from the previous posting.